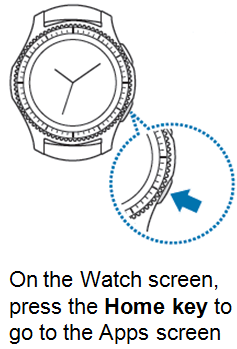 Gear S3: How do I Download More Apps? You should download apps from the App Store on Gear S3. Now you can customize your Gear S3 quickly and easily. 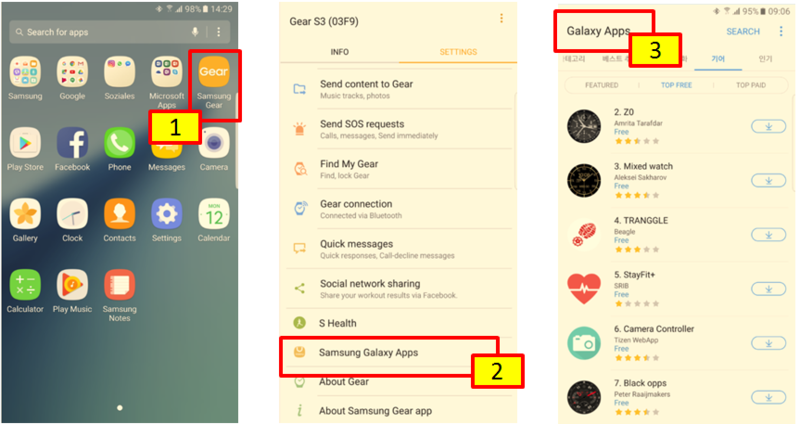 Apps can also be downloaded via “Samsung Gear Apps” on connected Mobile devices. Please follow the instructions below. (3) Agree to the terms and conditions, then you can Browse by category and select an app to download. l You need to sign in to your Samsung account in order to download apps. Virtual and Screen Images are for reference only. Google+, Google, the Google logo, Google Search, Google Maps, Gmail, YouTube, Android, Google Play and Messenger are the trademarks of Google Inc. All other products and services mentioned may belong to their respective trademark owners. How do I Connect Gear 360 to Google Street View App?